Our students and staff are diligently striving to meet the academic and social/emotional challenges of the 21st century. The continual improvement of teaching and learning is a major goal of the school’s plan for enhancing scholastic achievement and student attendance. Our philosophy is that all students are capable of succeeding and realizing their potential in an encouraging and nurturing yet challenging learning environment. 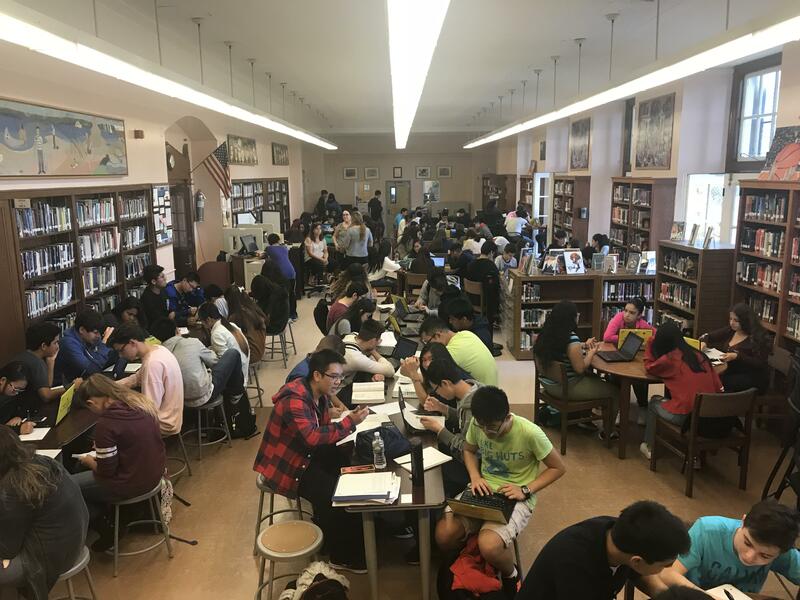 The Fort Hamilton High School community is committed to raising standards, supporting co- and extra-curricular activities, applying learning to real-life experiences, and preparing all students to be college and career ready to function productively in the post-secondary world. Spring Musical Production: Into the Woods - Click here to buy tickets! Performance Dates: May 8th @ 4 pm, May 9-10 @ 7 pm, May 11th @ 2 pm AND 7 pm. Tickets are $10.00 per person. Please click on the announcement to purchase tickets.